Problem Based Learning is designed to enhance learning by providing a real life problem, which will motivate students, to get them to experience what they will need to do in the real world. This learning process teaches students how to deal with real problems and issues as they would in their jobs. This process is useful for classroom activities and can be used with Project Based Learning. The outcomes of this process will generate real life experiences for the students but the process can take longer than regular instruction. I felt that this process was limited by the fact that it takes longer than regular instruction, which can be solved by using this process at the right time. This process was also limited due to the use of a white board. While this is realistic in the corporate world, I feel that replacing the white board with any type of media/recording device would be more professional and spark interest in trying out the theory. – Realistic – The problem should be realistic so that the students feel like they are truly accomplishing something. This increases motivation. – ill-structured – The problem should be complex and open ended. – The problem should be appropriate for the students and build onto their knowledge base. The context should be based on skills that will be used in the real world. – The teacher can keep groups on task using scaffolding techniques. Hemlo-Silver, C. E. (2004). Problem-based learning: What and how do students learn? Educational Psychology Review, 16(3), 235-266. Hmelo, C. E., Holton, D. L., Kolodner, J. L. (2000). Designing to Learn About Complex Systems. The Journal of the Learning Sciences, 9(3), 247-298. In order to create effective instruction, representations must be structured to promote comprehension and decrease cognitive load capacity. 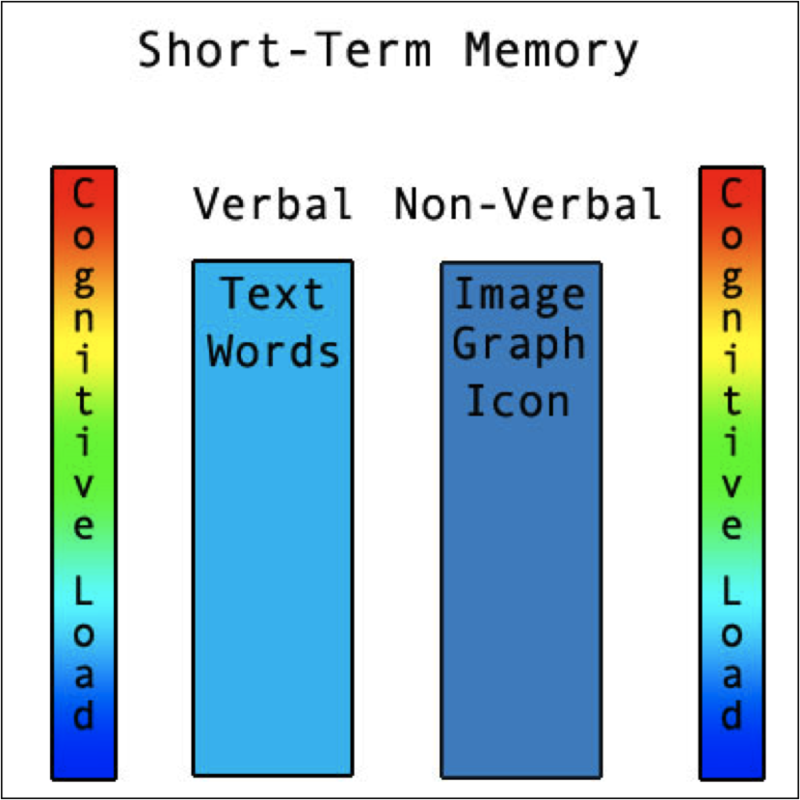 To accomplish this task, theorists have developed learning taxonomies. Learning taxonomies attempt to organize levels of information that are processed differently in a hierarchal order to increase learner comprehension of the material presented (Gagne, 1985). The purpose of a learning taxonomy is to order learning objectives in a hierarchal structure where information, such as facts and concepts, are presented as a prerequisite to high level processing strategies such as problem solving. Nitko (2004) states “To assess higher-order thinking abilities, it is often necessary to develop tasks for which the solutions or answers depend on a particular piece(s) of introductory material presented along with them.” (p. 232). Presenting information in the hierarchal structure allows designers to effectively align objectives in a structured way, which complements instruction and augments comprehension. While there are several theorists who hold their own version of the learning hierarchal structure, they all share the same basic theoretical paradigm. Examples include Gagne’s levels of complexity, the instructional consistency/congruency model, and the component display theory. Gagne’s levels’ of complexity is a hierarchal learning taxonomy, which aligns information in categories of facts, concepts, rules, and high-order rules or problem solving techniques (Gagne, Wagner, & Briggs, 1998). Gagne explains that in order for learners to be able to perform high-level tasks such as rules and problem solving, they must first have the prerequisite facts and concepts. Gagne states, “In solving problems for which instruction has prepared them, learners are acquiring some higher-order rules (that is, complex rules). Problem solving requires that they recall some simpler, previously learned rules and defined concepts. To acquire these rules, learners must have learned some concrete concepts, and to learn these concepts, they must be able to retrieve some previously learned discriminations.” (Gagne et al., 1992, p. 54). Dwyer (1978) encourages the use of an instructional consistency/congruency model, which introduces prerequisite objectives prior to presenting information that is required to process high-level learning tasks, such as problem solving strategies. The instructional consistency/congruency model is structured similarly to Gagne’s levels and presents itself as levels of facts, concepts, rules/principles, and problem solving objectives. The model helps ensure that learning objectives, instructional content, and assessment items are congruent to each other so that information is both presented and assessed within the same level. Other models with similar theoretical foundations have been a proposed as well. For example, Merrill’s Component Display Theory classifies “learning objectives (or capabilities) along two dimensions: performance level (remember, use, or find) and content type (facts, concepts, principles, or procedures).” (Ragan and Smith, 2004, p. 632). The purpose of these models is to effectively measure achievement of content, ensure that both high and low levels of learning are measured correctly, and that learning objectives are aligned in an order that promotes learning. This helps ensure that the instructional methods and strategies being implemented are structured in a way that benefits learners’ processing abilities. The implementation of user design in organizations and educational systems is not new, however, it is very rarely practiced as it differs from out traditional approaches to management. User design is a unique way to approach change in an organization. It is a holistic, bottom-up approach to change within a system and has been described as “…an authentic empowerment of a particular set of stakeholders, the users of any innovation.” (Carr-Chellman, 2007, p. 8). User design methodologies originally stemmed from research on participatory design and ties in greatly with literature on user-centered design. Participatory design “…implies that workers as users of the computer products should take part in the decisions that affect the system and the way it is designed and user” (Greenbaum, p. 28). This initial research on participatory design took place in Scandinavia where Schuler and Namioka (1993) examined the way users of a system would design it. It is from these philosophies that the notion of user design has been shaped. Organizational change generally involves a few key decision makers and designers, commonly referred as a traditional or top-down approach to management. Likewise, users and stakeholders of the system are not given much decision making power, yet they are generally made to accept decisions from the top in order to keep their jobs. User design seeks to move away from this notion. Thus, within the user design approach, there is a decentralized power shift in the system where all stakeholders affected by change are given an equal stake in the decision making process. Users are thus seen as the experts (Williams & Traynor, 1994; Sugar, 2001). This differs from the traditional decision making process where a few select decision makers or designers are given the power to change the system. Therefore, we suggest that it is important to capture cases which differ from these traditional approaches in order to find out if other means can be successful. Most often, the literature on user design consists of theoretical pieces and qualitative case studies within both the corporate and educational cultures. Several studies have examined user design and help to provide a guide for its use but more commonly, the research is focused on participatory and/or user-centered design. For example, a case study conducted by Carr-Chellman, Cuyar, and Breman (1998) examines the impacts of user design application in health care training. This study analyzed the user design process of nursing home employees who were able to design an IT infrastructure in an organization that was primarily paper based. The study found that utilizing a user design approach proved to be an effective means to develop the structure. Although the project was seen as a success, several disadvantages were noted which included a lengthy decision making process and some participants were upset that the final decisions had to be accepted by senior management. Although this is seen as a disadvantage, in most organizations, senior management is held accountable if the project fails. Therefore, when user design is seen in the literature, the examples provided may not always follow it to perfection but rather utilize qualities of it that suit the systems’ needs. This is acceptable as not all of the qualities of user design will fit all situations nor are they meant to, rather user design is seen as a way to improve change by applying it to the situation at hand. Reigeluth (1993) conducted study which examined the systemic change process during an educational change effort. From this effort a model was developed using a user design approach which sought to guide the implementation of change within educational settings. This model is a guide for change within a system utilizing a user design approach and can be used a basis for implementing the change process in an organization. A case study by Corry, Frick, and Hansen (1997) on user-centered design found that when users are able to design web pages, their designs are more usable and user friendly, whereas designers and programmer do not always focus on usability aspects. Their study examined the process of developing a website by utilizing students, faculty, and staff and found that when including users of the system in the design process, the design was more improved, user friendly, and the information on the site was more useful. Similar results were uncovered by Frick et al. (2001) who distributed surveys to 83 software designers to discover their perceptions towards utilizing user-centered design approaches when developing software. They found the designers’ felt that involving the users was more beneficial and aided the design process even though they noted that it was less time efficient and more expensive. Even though some disadvantages have been noted, it is within these examples that aspects of user design can be seen as a success and therefore could be applicable for many different situations. Thus, utilizing this approach has been shown to be beneficial to organizations. While the user design approach has been analyzed in both corporate and educational contexts, additional research is needed to help illustrate its value due the uniqueness of the situations it is used. These situations and cases are viewed as unique because they are opposing our traditional management and power structure; therefore many organizations are unwilling to try them out. This therefore creates a need to understand and explore what its successes and failures are so that potential adopters of the idea will have a guide for successful use and implementation. Therefore, part of understanding user design as a concept is to take into consideration where it applies in the realm of a system and how it affects the change process.